Walt Disney World Marathon weekend is the premier event on the runDisney racing calendar. 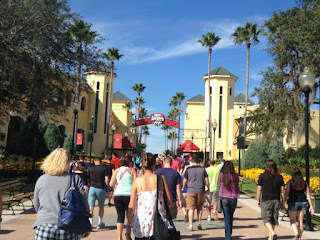 It packs in four events, two challenges, kids races, and a race expo all in one weekend at the Walt Disney World resort. With all those options and a wealth of information out there, it can be difficult to find the exact information you need for the events you're participating in. Over the next two weeks, I'll break down the runDisney event guide so you have all the information that you need to know. The total event guide is 48 pages, but I suggest opening it up on your phone and taking a screenshot of the pages you need. Thanks to Joyful Miles for this tip! Since this is the first race of the event weekend, participants in the 5K (as well as the Dopey Challenge) need to attend the expo on Wednesday, January 3 in order to get your bib. 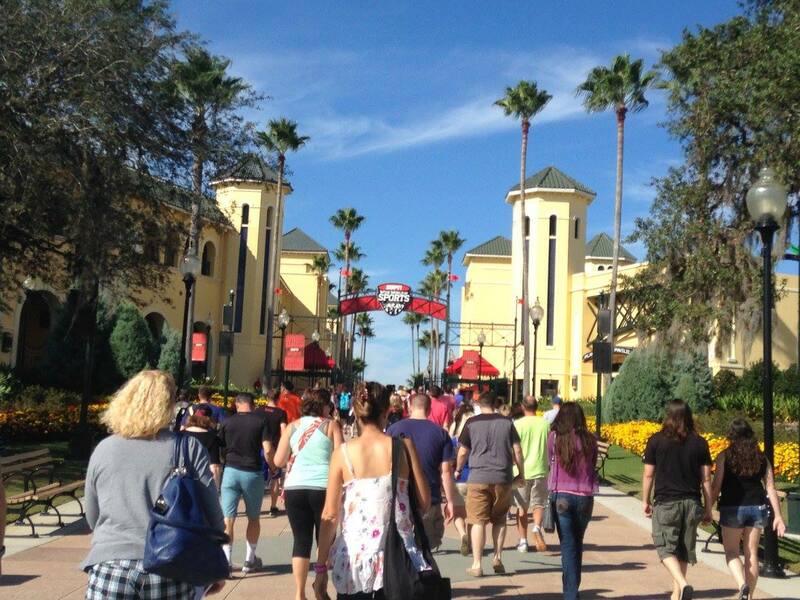 The expo is at the ESPN Wide World of Sports Complex. You can take bus transportation from your Walt Disney World hotel from 11:30AM-7:30PM. Busses will continue running half an hour after the expo closes to get runners back to their resort hotels. On Wednesday, January 3, the EXPO will be open from NOON-8:00PM. If you purchased race retreat for the half, full, or both, you will have early access to the expo from 10:00AM-11:00AM. There will be bus transportation for VIP Race Retreat runners ONLY starting at 9:30AM. At the HP Field House, you will find the official runDisney merchandise booth, pre-purchased commemorative items and runner relations for the 5K. You will pick up your bib and race shirt in Champion stadium. Additionally, this is where you will find the exhibitor booths. In the Visa Athletic Center you will find shirt exchange, more exhibitors, and the runDisney booth. Here you will be able to get event information, transportation information, future runDisney event sales, and the Walt Disney Travel Company. The Walt Disney World 5K starts and finishes at Epcot. The race starts at 5:30AM. Busses will run from Walt Disney World resorts from 3:00AM-5:00AM. All runners need to be on a bus by 4:00AM to make it to their starting corral in time for the race start. Busses will run back to the resorts from 7:00AM-9:00AM. Please note that if you are a faster runner, you may be waiting for a bus to leave for a little bit as the runners need to clear part of the course for the busses to be able to depart. What's there to do during all the waiting time? There is a DJ playing music to get runners pumped up, there are typically food and beverages available for purchase and there are characters out for photo ops. If you are not planning on utilizing runDisney transportation, the event guide has driving directions to each of the races and the expo. Please make sure to give yourself plenty of time due to road closures. You will be able to gear check a bag for the 5K. You need to use the clear bag that you received your shirt in at the expo. Gear check will be available from 3:30AM until 8:30AM in the Epcot wonder lot. The start for the race is in the explore lot at Epcot. There will be a letter on your bib that corresponds to your assigned corral. If you want to run the race with someone who was assigned a different corral, the faster of the two runners is able to move back corrals. You are not able to move up corrals. Corral jumping up could get you disqualified and banned from runDisney events. Make sure your bib is pinned to the front of your racing outfit and is clearly visible. Also, make sure to fill out the emergency information on the back of your bib. This race is untimed, so you will not have a timing chip on the back of your bib. However, officially, runDisney posts that 5K participants must keep a 16 minute/mile. Corrals will be started 8-15 minutes apart. There are mini-waves within each corral to minimize course crowding. If you want to be in the first wave of your corral, get in the corral early and make your way to the front. The course is the standard runDisney 5K course. The first mile is on the highways around Epcot. Between miles 1 and 2, you will take a lap around world showcase. This is my absolute favorite part of the course. Between 2 and 3, you will make your way around future world, flying past Spaceship Earth and finishing outside Epcot in the parking lot. There will be one water stop on the course, located between miles 1 and 2. When you finish, a volunteer will give you the finisher medal. This year the medal features Mickey and Pluto. You will also receive water and the famous runDisney snack box. Are you excited to run the Walt Disney World 5K? I am so excited! This will be my first Marathon Weekend 5k...we've done Princess and Wine & Dine but not Marathon Weekend! SO exciting! !